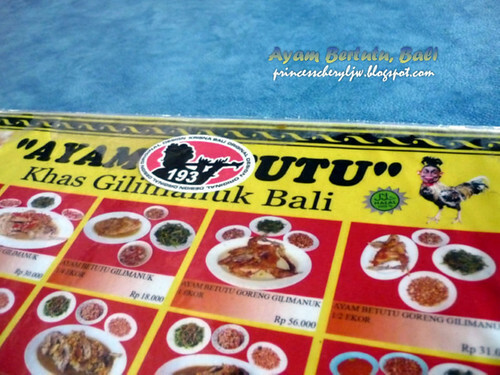 Looking for tantalizing spicy chicken in Bali? 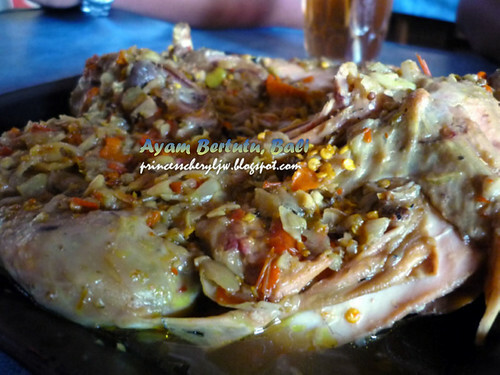 Then you must try Ayam Betutu Bali! I mean REAL spicy, one grade spicier than the Nandos Peri-Peri Chicken I would say. 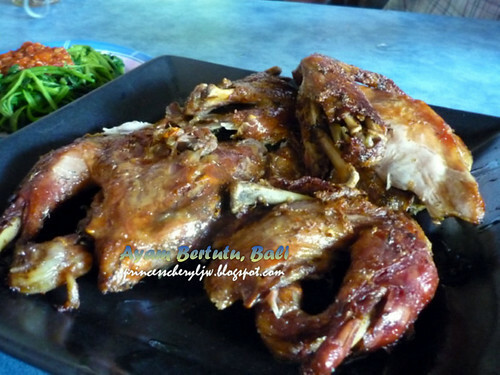 Ayam Betutu Gilimanuk (Bali style spicy braised chicken). This restaurant is located at the areas that is seldom explored by tourists. We were brought by our appointed guide here. It's not that far from Kuta, at Jalan Raya Tuban, about 1.5km from Legian. Customers are mostly the locals. If you're looking for some local taste, this shop has a big variety of foods to choose from. 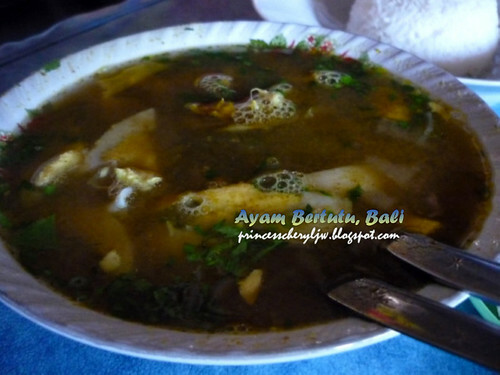 It's one of the most delicious meal in Bali for us, the local Balinese cuisine. 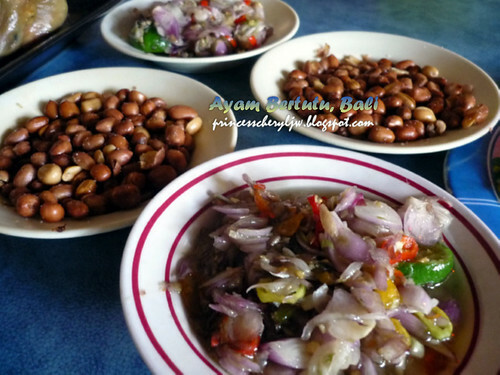 Price is also exceptionally friendly, starting Rp 5,000 for foods and beverages. These chicken are free range chicken (kampung chicken) that run around in the countryside and feed on natural vegetation, hence, the meat have less fat with a better texture than the battery chicken. 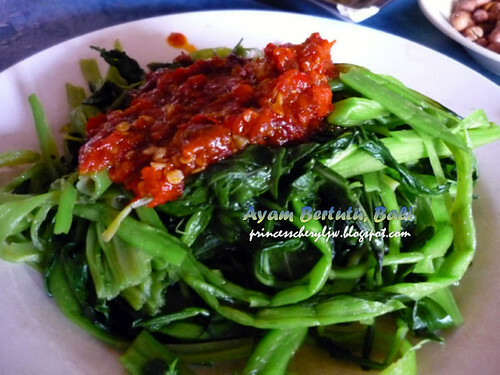 Kangkung (water spinach) with chili paste. Don't touch the chili if you think that our chili sauce is just spicy enough..
Ares Kuwir (Spicy soup). It may not look appetizing in the yellowish soup base, but the taste is just opposite!